Apache Cassandra is distributed masterless column store database which is becoming mainstream for analytics and IoT data. 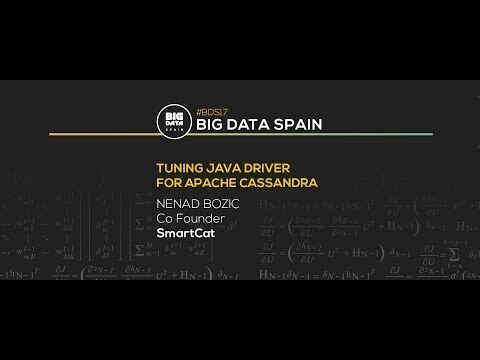 Many use cases where Cassandra is natural fit require latency tuning in order to serve requests really fast. DataStax driver has many options, some less familiar, which can greatly influence performance aspect. This talk will focus on Java applications and options at your disposal in DataStax Java driver which became standard when you want to use this database. We will concentrate on both monitoring and tuning aspect of things and we will provide different options for different use cases. There is no silver bullet solution and having many options requires deep dive when you want to figure out right decision. This talk will narrow down options and give you push in the right direction.